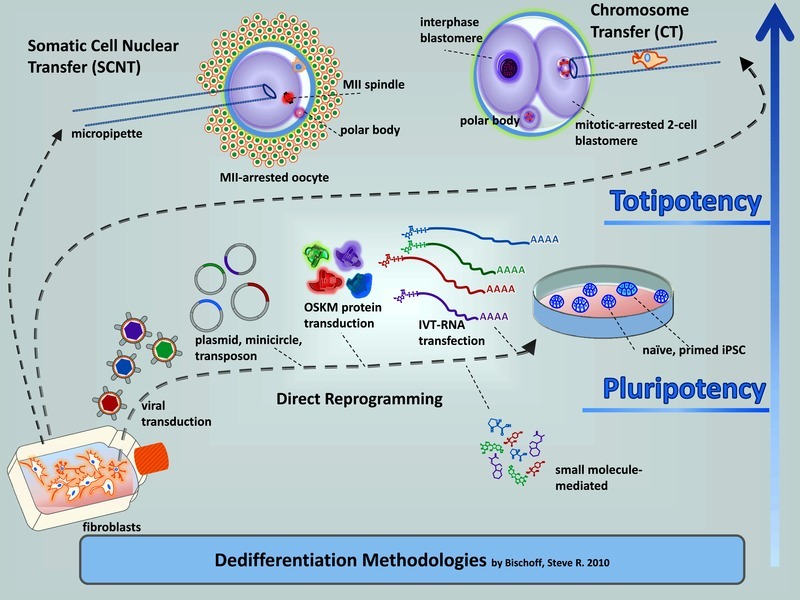 Induced pluripotent stem cells (iPS or iPSCs cells), are artificially created stem cells, derived from non pluripotent adult cells, typically from specialised cells (somatic cells, e.g a neuron) that are forced to express certain genes. iPSCs are pluripotent stem cells, with the capacity to develop into almost all kinds of cells, like embryonic stem cells do. Additionaly, research data on mouse-iPSCs shows that the two of them actually share other common traits as well, like the ability to express stem cell markers and the capacity to form tumors. Unlike embryonic stem cells, the use of induced pluripotent stem cells doesn't raise any ethical issues and concerns. This is due to the fact that iPSCs production doesn't require the destruction of human embryos. If you are unfamiliar with the different types of stem cells, it's likely that you might confuse iPSCs with adult stem cells. They are however, two totally different things. Adults stem cells can be found naturally in an organism whereas iPSCs are as mentioned before, artificially created stem cells that can't be naturally encountered in an organism. Induced pluripotent stem cells were first created in 2006 from adult mouse fibroblasts in a series of experiments run by Shinya Yamanaka's team at Kyoto University, Japan. In 2007 Shinya Yamanaka's team managed to produce human induced pluripotent stem cells from human adult fibroblasts, again being the first group to do so. 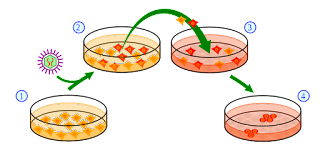 A little later and during the same year (2007), James Thomson's and his team at the University of Wisconsin, Madison described a method to produce iPSCs from human skin cells. Since then, scientists can derive stem cells from a great number of different cell types including stomach, liver, skin and blood cells. Recently, Chinese researchers have even managed to derive induced pluripotent stem cells from epithelial cells of the urine. Currently, the options available to researchers for iPSCs production are very limited. 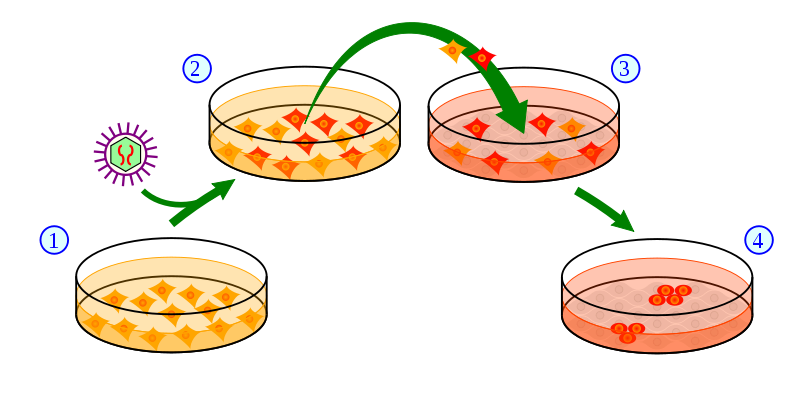 The main method employed for creating iPSCs is by using transfection to transfer stem cell-associated genes into somatic stem cells (e.g. adult fibroblasts) using viral vectors, such as retroviruses. The main genes transferred are Oct 3/4, Sox 2, Klf4, and c-Myc. It usually takes about a month for a small number of the transfected cells (0.1 to 1%) to become induced pluripotent stem cells. Unfortunately iPSCs produced via this method come with many disadvantages, the main one being a tendency to lead to cancer formation. Another disadvantage of this method is its very low efficiency (throughput), with only a total of 0.1-1 % of the total transfected cells successfully transforming to induced pluripotent stem cells. A non-genetic method of producing iPSCs has also been demonstrated by using recombinant proteins, however the efficiency was extremely low, even lower than the throughput of the retroviral transfection method. ACT has announced the first human clinical trial involving induced pluripotent stem cells. 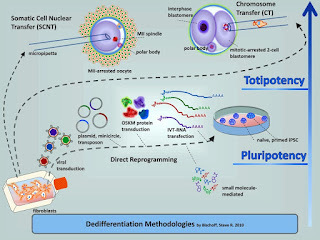 What are some disadvantages to Pluripotent stem cell research because it is in very early stages still?